Malta is often portrayed as a safe and pleasant environment. Moreover, the smallest EU State was consistently ranked amongst the top countries in the world for its quality of life index. According to a latest economic impact report by the World Travel and Tourism Council (WTTC, 2014), last year the travel and tourism industry in Malta has contributed to 13.6% of the country’s GDP. This figure is expected to rise by 5.6% during this year. WTTC (2014) reported that the tourism industry alone has generated more than 25,500 jobs, directly. This figure is forecast to grow to 27,000. It translates to 15.5% of the total employment in Malta and Gozo. Arguably, positive results do not come by chance. In the last decade the Maltese governments’ concerted efforts may have helped to ensure that our tourism industry remains a major contributor to the Maltese economy. The fruitful and collaborative relationships among tourism stakeholders also augur well for the sustainability of our tourism industry. Malta’s national tourism policy (2012-2016) builds on proactive frameworks of previous policies, whilst keeping pace with contemporary trends in travel and tourism. A recent report (2013) by the economic policy department within the Ministry of Finance aimed to establish a strategy for accommodation development, whilst taking into account the type of accommodation required, the optimum mix, market developments, the market segments, limiting factors and environmental considerations. A number of actions have already been undertaken or are being dealt with in this regard. Emphasis is being placed on supporting investment in tourism product development by the private sector. This is being accomplished through the allocation of €120 million of EU structural funds (from the 2007-2013 programming periods) and additional national funding. Some €10 million were allocated to a Grant Scheme for Sustainable Tourism Projects by enterprises, including small and medium sized enterprises. This scheme directs funds towards the economic development of the tourism sector and is intended to support product upgrades, enhance accessibility, increase innovation, strengthen marketing initiatives and promote tourism projects that aim to tackle current challenges in an environmentally and socially responsible manner. Given that a large number of tourism businesses in Malta are operating either directly in tourism or in related sectors; it is important to maintain or increase current tourist numbers and tourism earnings. While there is scope for any increase during the peak summer months, there remains room for significant improvements during the shoulder months. In response, Malta is seeking to attract tourists from a spread of markets which will be attracted by niche products. Some market segments may respect Malta’s unique heritage and may have the propensity and the resources to spend more. Malta is striving to make the islands more accessible for all. Two EU co-financed Calypso projects were implemented between 2009 and 2013. The first one focused on research analyses which define the present product offering. This project also identified certain areas which have to be addressed in order to untap the social tourism market. The Maltese tourism product and service quality can be differentiated to attract visitors with personalised services and accessibility needs. The second project was approved in 2011. 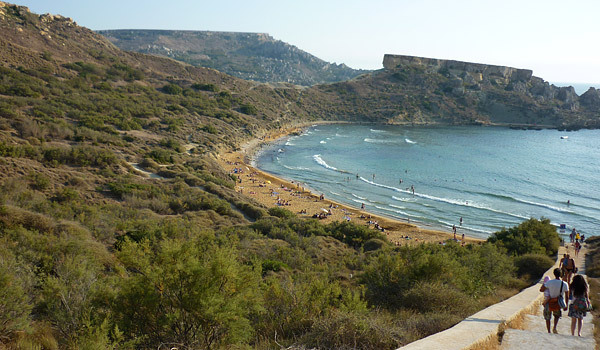 Its major objectives was to assess the degree of accessibility within selected tourist zones around the Maltese Islands. It has also given recommendations for improvements. A special allocation was directed to the maintenance and promotion of rural localities by supporting the establishment of walking trails and small scale infrastructural interventions which, in turn improve rural and natural areas. This latter project is being co-funded through the European Agricultural Fund for Rural Development. The Malta Tourism Authority (MTA) is increasingly focusing its energies on environmental initiatives. Today’s travellers are becoming more demanding on sustainability issues and green travel. This may pose a number of challenges for the industry practitioners to constantly update their methods of operation to be in line with the constantly changing market requirements. Eco-certification is the national scheme which ensures the environmental, socio-economic and cultural sustainability of hotels in the Maltese islands. It has been recognised by the Global Sustainable Tourism Council as fully reflecting the GSTC criteria. The scheme was launched by the Malta Tourism Authority in 2002. Some 16.2% of hotel accommodation establishments, covering 3, 4 and 5 star categories (accounting to 32% of beds) in Malta are eco-certified (MTA, 2014). In spite of the record figures in terms of tourist arrivals, bed nights and tourist spending, the tourism stakeholders are very aware that not everything in the garden is rosy. The ToM Business Supplement reported (27th March) about a number of unlicensed accommodation establishments who last year evaded VAT and taxes. It goes without saying that such accommodation establishments may have not been subject to any form of quality control on their product. Such unlicensed accommodation establishments may have also created some distortions in price structures, particularly for hospitality enterprises. Interestingly, another ToM article (25th March) featured a summary of some findings from an MTA research about the highs and lows of tourism in Malta. For instance, it reiterated the importance of improving aesthetics in Maltese tourism zones. It reported that eight per cent of visitors said they would not return to Malta. Apparently, some informants complained of a dirty environment, excessive building, bad experiences with accommodation, poor transport and unfriendly locals. This same article hints that MTA may set up quality assurance structures as it wants to measure sustainability. It mentions some of the challenges of the tourism industry and makes a few recommendations which resonate with the national policies. In conclusion, this contribution suggests that frequent situation analyses (and longitudinal studies) may possibly give a better picture of our product offering and service quality. Certain findings may be an eye-opener for some stakeholders as there are some issues which will have to be addressed in the foreseeable future.